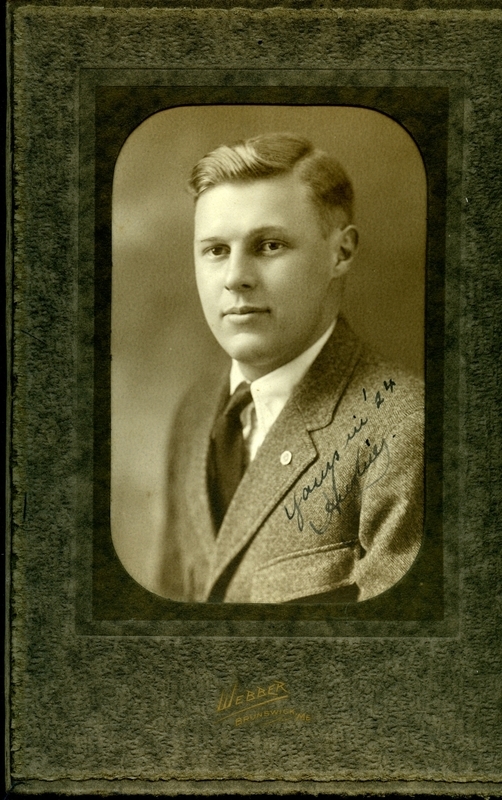 Hugh McCulloch Marshall (Bowdoin 1924). Portrait view of Hugh McCulloch Marshall (Bowdoin 1924). Inscribed in lower right, "Yours in '24, Hughie." Image is in the 1924 Bugle.